NCHE is hosting a webinar on December 4 beginning at 2:00PM titled: The Commercial Sexual Exploitation of Children (CSEC): What Schools Need to Know to Understand and Respond to Human Trafficking. In this interactive webinar, national experts will provide an overview of the issue of human trafficking, focusing on the commercial sexual exploitation of children (CSEC), how CSEC is beginning to manifest itself in U.S. schools, and how homeless youth often are targeted for victimization. In addition, presenters will recommend specific steps that may be implemented in local school districts to respond to this growing issue in a responsible and effective manner. See more future webinars here. The federal minimum wage has been stuck at just $7.25 per hour - a poverty-level wage that leaves millions of workers unable to afford the basics. The tipped minimum wage was set in 1991 at $2.13/hr. That is even worse! In the coming weeks, the Senate is expected to vote on the Fair Minimum Wage Act of 2013, which would raise the federal minimum wage to $10.10 per hour in three phases of 95 cents each and index it to rise with the cost of living. Furthermore, the bill will gradually raise the federal minimum wage for tipped workers to 70 percent of the regular minimum wage. Call your Senators at 888-705-5182 and tell them what you think about the Fair Minimum Wage Act of 2013. Some Harrisburg politicians, with the backing of big businesses and anti-worker groups, are trying to pass a bill that would prohibit Pennsylvania's cities from adopting local paid sick days standards or even laws requiring employers to allow unpaid leave for survivors of domestic violence. A broad-based coalition of workers, advocates, businesses and lawmakers voiced their support loud and clear for a paid sick days standard for the city, and won the support of the City Council. Call your state representative and say: "Oppose H.B. 1807. Let city residents and lawmakers decide if paid sick days standards are right for them." Look up your state representative here. Contribute Stories to the Paid Family and Medical Leave Story Collection! 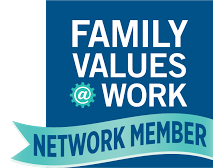 Please help prepare for the bill introduction and the multi-year campaign to pass the FAMILY Act by emailing your lists or reaching out via social media to encourage people to submit their paid leave stories. The stories of real people are crucial to painting the picture for opinion leaders and policy makers. Please share the link to this story collection survey with your members, supporters, affiliates and chapters and, if applicable, fill it out yourself. PANO in cooperation with the Lincoln Institute of Public Opinion Research is conducting our 18th annual Pennsylvania Charitable Organizations Survey. You are invited to participate in the survey. The survey takes approximately five minutes to complete. Your opinion is valuable to us and we invite you to participate in our annual survey at https://www.surveymonkey.com/s/PYSYH58. Please respond by December 4 and please share this broadly. Urge Your Member of Congress to Oppose SNAP Cuts in the Farm Bill! Funding for the Supplemental Nutrition Assistance Program, or SNAP, formerly known as food stamps, is yet again on the chopping block as Congress attempts to pass a final Farm Bill. A cut to SNAP now would come on top of a benefit cut that just took place on November 1, which has left the average SNAP benefit at less than $1.40 per meal. SNAP is among the most effective anti-poverty programs, keeping 5 million people out of poverty in 2012. SNAP matters to neighbors in every community in the country, and Half in Ten is asking you to send a strong message to Congress that you won't stand for more hunger and food insecurity through cuts to SNAP. The program also benefits our economy-every $5 in new spending on SNAP generates $9 in economic activity. The $40 billion cut that the House passed in its nutrition-only Farm Bill would be devastating to families struggling with hunger as well as to the national economy-translating into 55,000 job losses in the first year alone. Tell Your Legislator You Support Medicaid Expansion! On Wednesday, November 20th, Pennsylvania Health Access Network will be asking you to join in a statewide day of action urging Governor Corbett and your lawmakers to expand Medicaid coverage in 2014. Today, you can sign this petition and mark your calendar for Wednesday. All hardworking families deserve the security of knowing they can see a doctor when they get sick without facing enormous medical bills. If Pennsylvania fails to act on this federal opportunity, hundreds of thousands will be left out in the cold with no options for affordable coverage in 2014. You can let your legislators know that Pennsylvania cannot afford to turn down federal funding that states like New Jersey and Ohio will use to insure their citizens and give their health care economies a needed boost in 2014. Activist and author Sam Daley-Harris has helped thousands of ordinary citizens transform from hopelessness into extraordinarily powerful advocates. This fall, Mr. Daley-Harris released the 20th anniversary edition of Reclaiming Our Democracy, his seminal classic on the topic of community engagement and advocacy. In it he shares how he and the citizen advocacy organizations he has founded (RESULTS and the Microcredit Summit Campaign) or coached (Citizens Climate Lobby) have been leading change-makers in three global movements: 1) microfinance, 2) child survival, and 3) climate change. He joins Witnesses to Hunger on Tuesday, November 19th to discuss his experiences and engage in dialogue about community-based work at Drexel University. Right now in Pennsylvania, some legislators are trying to deny us our right to decide democratically what's best for our local communities. They are working with corporate lobbyists to push statewide legislation that would stop cities and counties from passing laws about paid sick days, living wages and other workplace reforms that would help middle class and working women and families - families like yours. Ask them to stand up to the corporate lobbyists to vote against these efforts to stop local communities from voting on earned sick days, decent wages and other modern workplace reforms. http://act.keystoneprogress.org/call/HB19807Call that will give you the phone number for your legislator. National Runaway Day is November 20th! Let Your Voice Be Heard! NN4Y has been serving the youth of America for more than 30 years by championing the needs of runaway, homeless and other disconnected youth. They are organizing a day of outreach to educate all Senate and House members about the critical issues communities face when striving to serve runaway and homeless youth. Please Sign the Petition to Opposing a State Override of Local Paid and Unpaid Leave Policies! The State House will be considering HB1807 in the coming week. The bill would prevent any city in the state from passing a paid sick days law. It would also overturn current laws that give survivors of domestic violence who live in Philadelphia the opportunity to take unpaid leave to see a doctor, find new housing, or go to court. If you oppose this legislation, please consider signing the petition and passing it on to your friends and family through email and social media. For those veterans who have served and are currently serving, we here at PathWays PA say thank you. We are here to help with our HeroesPath veterans program. For veterans who come home and need any kind of assistance with job searches, training, counseling, HeroesPath will help connect you to the organization that can make your transition to civilian life as comfortable as possible. Veterans can also sign up for several FREE upcoming workshops including Finding the Right Job For You on Tuesday, November 12 from 1PM - 4PM and Best Foot Forward: Strategies for Successful Interviewing on Thursday, November 21 from 1PM - 4PM. Please call 610-237-3866 to schedule a FREE appointment with a Navigator or visit PathWays PA at 310 Amosland Road, Holmes PA from 10AM - 3PM on Wednesdays for "Drop in Hours." For the victims of Typhoon Haiyan in the Philippines, the Red Cross, UNICEF and other world agencies are beginning their emergency response. It is feared that hundreds of thousands have been killed, displaced or missing in the wake of the typhoon. Learn how you can help using the links below. Domestic Violence Awareness Month May Be Over-But You can Still Help! October may be over, but there are still things you can do to raise awareness about domestic violence in your community. Get trained in how to identify and appropriately respond to signs of domestic violence. Organize a training on domestic violence with your local community group -- whether your church, your school, your neighborhood association or your workplace. Request a training online today! Learn what additional steps you can take in your community! We are Pleased to Announce the Launch of HeroesPath! HeroesPath, a new Veterans Services and Employment Program is now available to Veterans in Southeastern Pennsylvania. "Women in Transition" Networking Event Thursday! The Delaware County Women's Commission will be hosting an event this Thursday, November 7 from 6:00PM-8:00PM at the Delaware County Bar Association located at: 335 West Front Street in Media. The event is open to all and please bring a personal care item that will be donated to women in transition in Delaware County. Barri Pepe, MSW, CCDP-D and CEO of Myra's Place, an organization that serves victims of trauma. Please R.S.V.P. to Charlene at Smith-PetteyC@co.delaware.pa.us or 610-713-2571. We are partnering with Burlington Coat Factory to bring coats for people in need this winter. From November 1, 2013 through January 20, 2014, the annual Warm Coats and Warm Hearts Drive runs nationwide collecting coats to keep people in need warm! Since Burlington started this coat drive seven years ago, over 1.2 million coats have been collected and distributed to people in need. You can help by bringing your unused coats to the Burlington Coat Factory Store in Springfield, PA located at: 400 S. State Rd (US-1). PathWays PA will collect the coats from the store and arrange for their distribution to the community. White House Budget Call This Wednesday! Please join the call on Wednesday, November 6th for an update conference call on the budget. Dial-In Number & RSVP: Preregister for this teleconference using this link: http://ems6.intellor.com?p=600152&do=register&t=1. A confirmation page will display dial-in numbers and a unique PIN, and you will also receive an email confirmation of the information. Please note: This call is off the record and not intended for press purposes. Our American Story and Community Action Partnership to Host Webinar About the 50th Anniversary of the War on Poverty January 2014 marks the 50th anniversary of the War on Poverty, a time when our nation came together to make a national commitment to reduce poverty in America. Anti-poverty advocates must be well-equipped to face the challenge and opportunity that this important anniversary brings. Congress is Voting Today on ENDA! Right now, there's no federal law that explicitly protects lesbian, gay, bisexual and transgender Americans from being FIRED because of who they are or who they love. But now's our chance to change that. Today, the Senate is voting on the Employment Non-Discrimination Act, and every vote counts! Every election is important, and the election tomorrow is no different! If you are registered, don't forget to vote, and if you are not registered, register now so that you can vote next year! Elections will be held for judicial and local officesYou can view a copy of your ballot and find your polling place at http://www.smartvoter.org/pa/state/Not sure if you are registered? Visit https://www.pavoterservices.state.pa.us/Pages/VoterRegistrationStatus.aspx.Voter ID CANNOT be enforced in this election, although your polling place could ask you about ID, provide written information about it, and let you know that it may be required in the future. If you are a first-time voter at your polling location, you will need to present identification. Voters in New Jersey should visit http://nj.gov/state/elections/voting-information-voting.html. Welcome to Our New President/CEO, Brenda Dawson! PathWays PA is excited to welcome Brenda Dawson as our new President/CEO! Brenda has been with PathWays PA since 2005. She has provided oversight to our Child Welfare Programs, as well as quality assurance and Human Resources. Brenda earned her Bachelor’s Degree from Slippery Rock State College, and her M.S.W. from Temple University. She is a Pennsylvania state licensed Social Worker. To see pictures of Carol Goertzel "passing the torch" to Brenda (and other great moments from our Gala), please check out our Facebook Page. And, if you would still like to Fund the Mission of PathWays PA in honor of Carol or Brenda, you can do so at https://npo.justgive.org/nonprofits/donate.jsp?ein=23-2001837. You can also leave welcome messages for Brenda in the comments!